It’s like a crappy Swiss Army Knife. 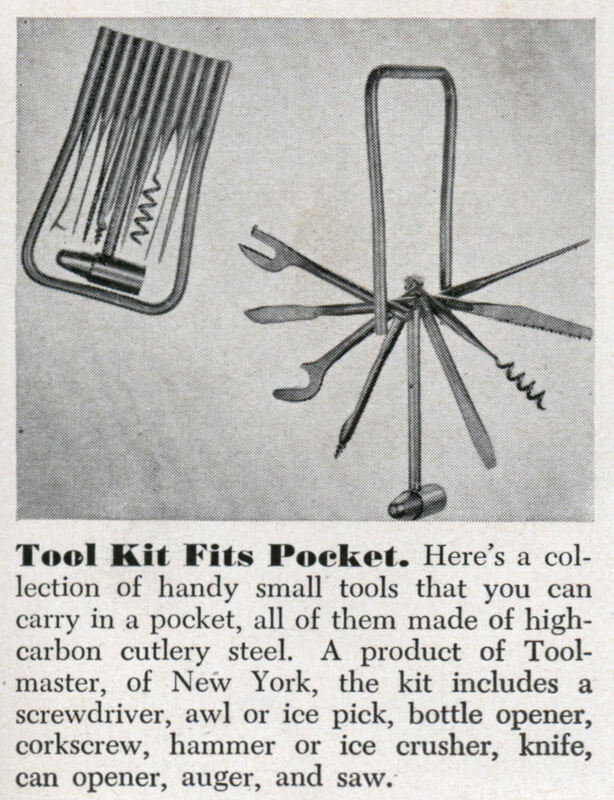 Tool Kit Fits Pocket. Here’s a collection of handy small tools that you can carry in a pocket, all of them made of high-carbon cutlery steel. 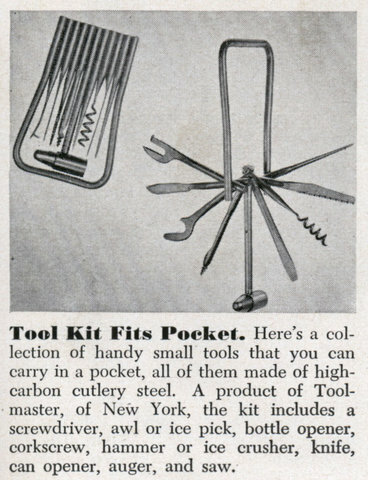 A product of Tool-master, of New York, the kit includes a screwdriver, awl or ice pick, bottle opener, corkscrew, hammer or ice crusher, knife, can opener, auger, and saw. Nope, no USB port, but lots of stuff to help you mix some drinks. Might be a good tool for camping. I like the hammer. How can you get a good swing with it? and the whole thing is a kind of bizarre form factor. You’d think if you wanted to go that way, you could just make a tool *pouch* of some kind. 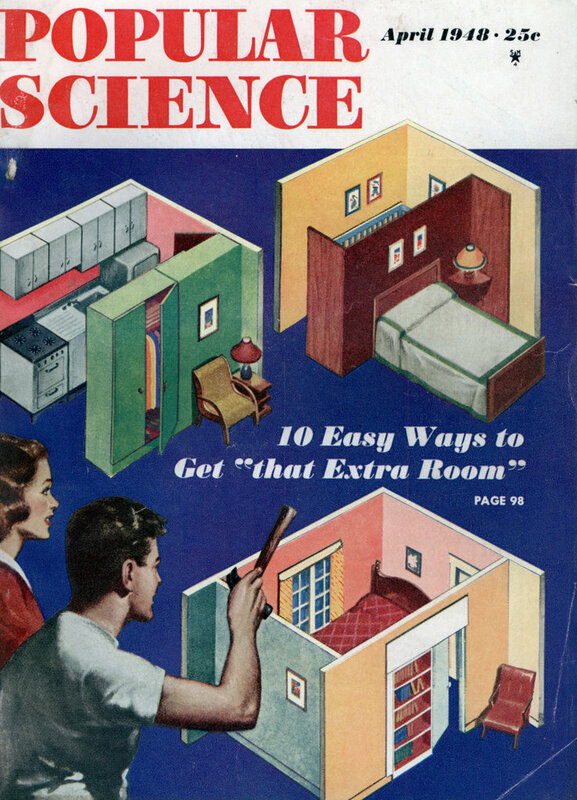 It’d be the same rough dimensions. Overall though i just can’t imagine it being very durable, or being very easy to grip. Actually it’s more like a fancy Swiss army knife, the Leatherman multi-tools were innovative because of the pliers. It is a weird form factor and to me it reminds me of “gentlemens tools” of the steampunk type. Like something the Victorian detective or scientist would use to escape from a trap or something.